Linda Tull is passionate about both the real estate industry and her quality-over-quantity approach. Linda prides herself on the personal attention she offers, limiting her clients so she can provide a truly customized experience and maintain the high standards she has set for herself. She has earned a reputation as a relationship-based agent and who delivers unparalleled customer service, every time. She is a member of the Marin Platinum Group (Top 100 Marin Agents), Marin’s Top Agent Network (Top 10%), Who’s Who Luxury Real Estate, and the Luxury Marketing Council. She is also consistently ranked in the top 1% of realtors in Marin. Linda is a Marin county native with deep ties to the community. She has the kind of first-hand knowledge of Marin that can only come from having grown up in the area. She provides invaluable insight and information about everything from values, neighborhoods, and schools to the personalities of each town, so she can help clients make informed decisions. Linda loves Marin and truly enjoys sharing it. Linda understands that these are “homes” not just properties and buying/selling a home is the most important transaction most of us will ever have. Her clients benefit from Linda’s strong business background gained from worked in Silicon Valley for years at companies including Lucent Technologies. More than two decades in technology and real estate have made Linda skilled at business strategy. She markets effectively with all the latest options for maximum exposure to the right audience for each property. 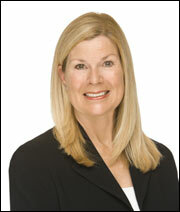 She knows the market and negotiates each contract to the best advantage of her client, ensuring a smooth transaction. With Linda, you get experience, integrity, and individual focus; she’s the whole package. Aggressive contract negotiation to get the best possible price. 22 years of sales and price negotiation skills in multi-million dollar transactions.